How is video transforming Digital Marketing? Home∕Make Money Online∕How is video transforming Digital Marketing? First things first. What is digital marketing? It is an umbrella term for all your online marketing efforts. It basically describes the marketing of products or services using digital technologies mainly on the internet. It can also be used on mobile phones, display advertising and any other digital medium. The use of digital marketing in the digital era allows for online customer support through 24/7 services to make customers feel valued and supported. Interaction through social media allows brands to receive feedback from their customers and also determine what platforms work better for them. 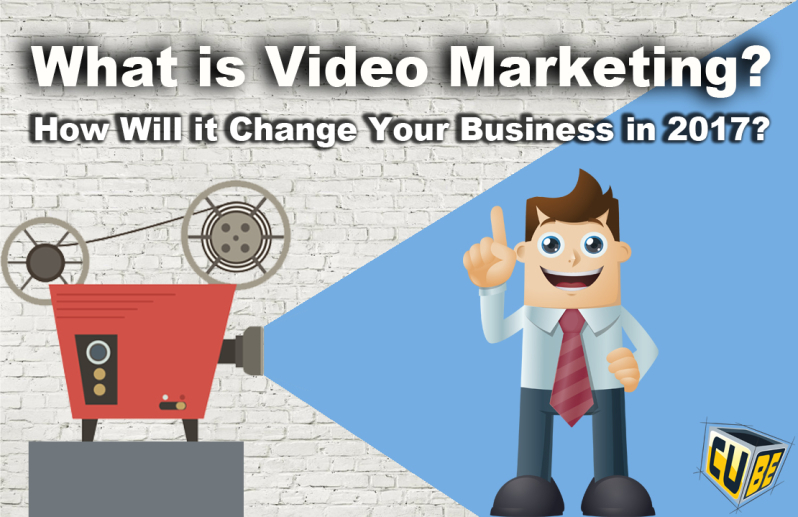 Video marketing is gaining a vital place in the marketing plans of major companies to connect with consumers, interact with them and convert them into paying customers. Stats from twitter confirm that videos and photos receive the most retweets, and according to YouTube, more than a billion unique users visit the site every month, spending over four billion hours watching video content. So what does this influx in video mean in terms of various verticals on the internet? Chances of getting a first page listing on google increases by 50% with video content. YouTube has become the second largest search engine after google. Over 55%of google searches include video. Using video on landing pages increases conversion rates by 80%. Sites that include video have on average an extra two minute dwell time than sites that don’t. Another vertical to go by would be Social Media. Facebook receives a billion views of video content daily. Facebook is pushing the envelope to create more video infrastructure, and so are marketers to take advantage of its potential. A lot of video results on search engines come from YouTube, mainly because most companies have not optimized their video content.Mobile now makes up nearly 40% of watch time on YouTube and a lot more on Facebook. Marketing agencies spend a lot more on video advertising campaigns as years go by. Brands are pulling campaign funds from broadcast TV advertising to invest in video advertising. Did you know that more video content is uploaded to the web in a month, than television has created in over three decades? 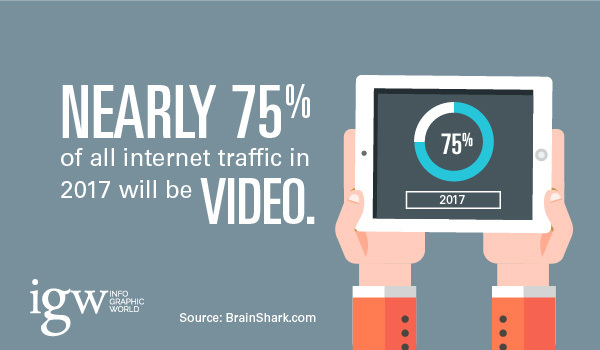 I know, scary.A big number of marketers believe that video marketing is most effective for brand awareness, lead generation and online engagement. Email marketing is a critical component of most modern marketing programs, but no one ever checks their email. I’m sure your inbox is flooded with unopened messages. Video has been proven to be a highly effective way to cut through the clutter and boost engagement in email marketing. The use of video is not only likely to improve email marketing performance but also return email to its important spot as a lead generator feeding data into our marketing automation platforms. With video marketing, you kill two birds with one stone; even more birds in this case. The objectives of educating, inspiring, entertaining or increasing brand awareness can be achieved through video. Before making purchase decisions, more people find it a whole lot easier to educate themselves through blog updates and product reviews. This marketing strategy has become increasingly popular because it is not too much to process for the brain and the eye, as compared to text. The use of video gives a fresh vibe to it, in a world where there is information overload. It is therefore much easier to create an impact through videos. So what are you waiting for? Incorporate video into your marketing strategies and watch its impact on your business. You will be impressed.